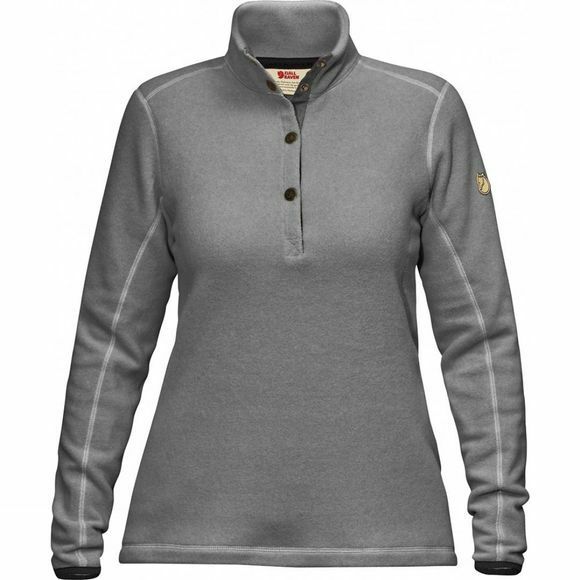 The Women's Övik Fleece Sweater is a warm and comfortable fleece sweater with a well-fitting, feminine cut. It is made from recycled polyester dyed with SpinDye technology, which reduces the amount of water, energy and chemicals used. A convenient and warm mid layer, perfect under a shell jacket on autumn and winter adventures. The collar is high and the front zip opening is half-length with press buttons.